At last the time has come for your final year at school and your Matric Dance is high on your list of things to crack this year. 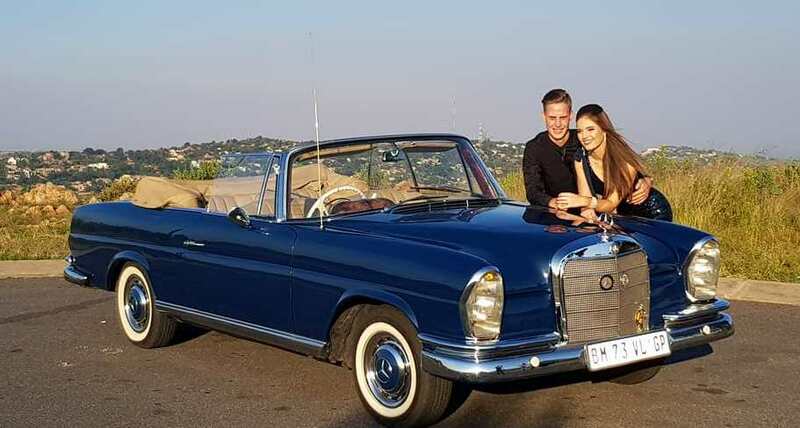 Your date, your outfit and your matric transport are the things that will make your own unique statement and will dictate how memorable your matric dance will be. 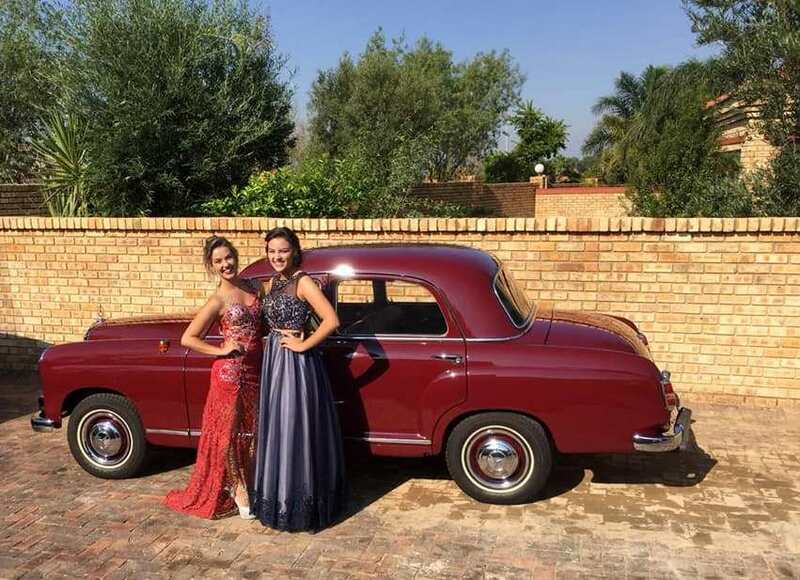 We have a WIDE selection of stylish Classic Cars to choose from for your Matric Dance & Farewell! Check out our whole Fleet! It’s your Matric Dance! This night really should be one of the most memorable of your entire school career; in fact your lifetime! How you approach and handle this enormously significant event is probably your first real personal statement. It says things about your own sense of style and where you are headed as you move from one phase of your life to another. Full prepayment is required to secure your booking and the car of your choice. As with most major events and projects that will mark your life going forward, taking some time to think and plan ahead. 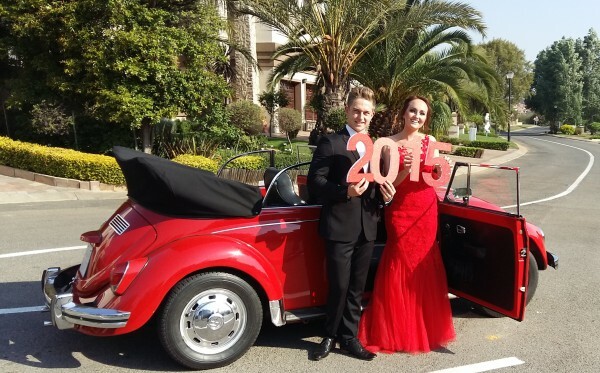 Here are some Tips to help you plan for your matric dance. Agree a budget. Have a chat with the folks about what you wish for, believe that they want to see you happy more than anything so respect and meet their budget. Work with everyone. Whatever trials and tribulations go into getting the right outfit, arranging the after party and choosing your transport, remember your folks and other helpers want this event to be as special as you do. Book all the services well in advance. Think outfit, grooming, photographer, matric dance car hire – you do not want to settle for second rate anything because you left it too late. Plan the day. Things can run late so give yourself lots of time. Cranky, red and sweaty ain’t pretty or easy to gloss over. Your matric transport is a real statement. If it is a dream to travel in a particular type of car, do it! This little detail will add style and excitement to the whole affair; not to forget beautiful photographs! Pick your partner with care. Invite your partner in good time so they can also prepare for the big night. You ensure the best time, pick someone you know well and who you are comfortable and relaxed with. Also, be clear on who pays for what. Be comfortable. Select the right outfit for the venue and weather and do avoid new pinching shoes. Essential to help your survive the whole party. Be on time. Avoid drama, arrive smiling, unruffled and unflustered. Determined to have the best time and it will happen. Don’t overdo anything. Don’t try anything for the first time. It may result in you missing out on something that can never be repeated. This is not a dress rehearsal. Make it count! Time for your best behaviour. Be nice, be polite, stand out for the right reasons. Proudly show everyone what you intend to become. Be Safe, have fabulous fun; make memories captured with photographs that will keep the moments alive. 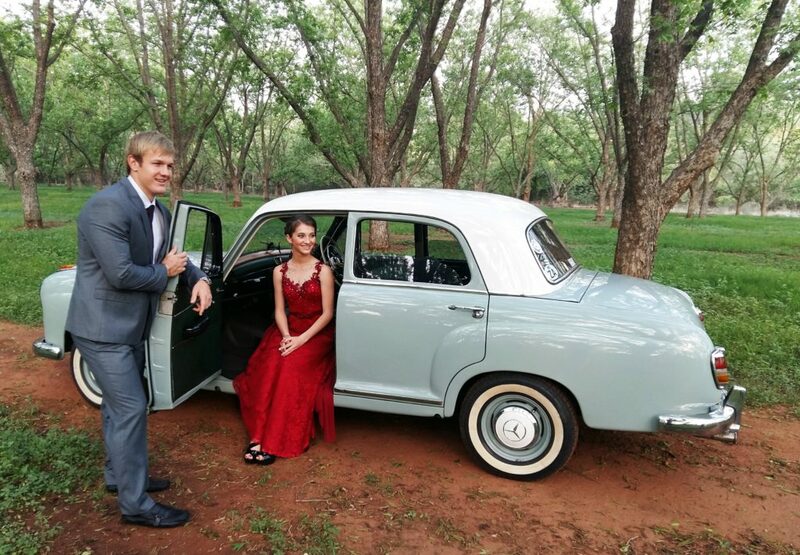 Be driven to your matric dance in style. PLEASE don’t post Car Rental enquiries here!